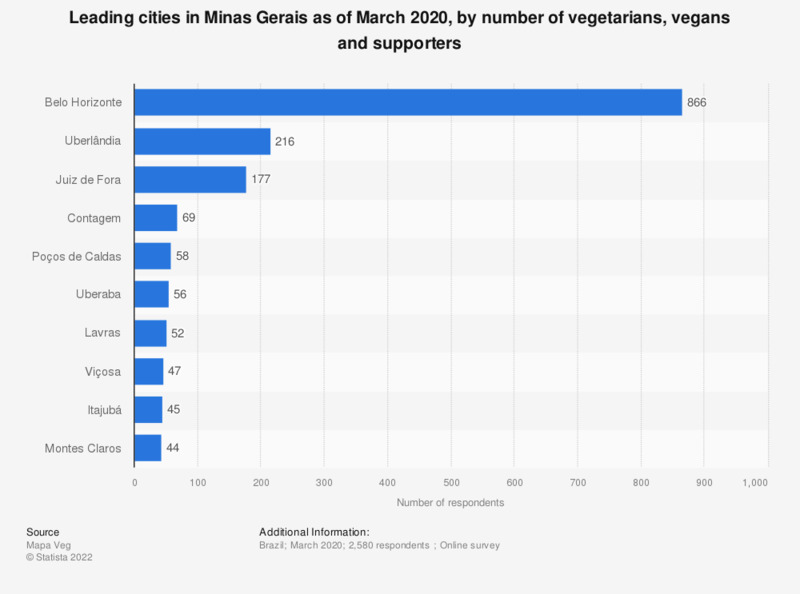 This statistic shows the number of vegetarians, vegans and supporters living in cities in Minas Gerais state. In December 2018, the majority of this population was in Belo Horizonte, where 845 people self-identified as vegetarian, vegan or supporter. The second largest population was found in Uberlândia, with 207 respondents. Information based on survey respondants self-indentifying as vegetarians, vegans or supporters.